With as many jokes as there are about the zombie apocalypse, I expected this book to be different. Although there is some zombie action, there is much more depth to the story. This Is Not a Test is a story of how to find meaning in life even when there doesn't seem to be any. Sloane Price is counting the days until she turns eighteen - or she used to. Since her sister Lily ran away from home, Sloane doesn't see much of a point to anything. What she doesn't know is that the world is coming to an end anyway. Zombies have taken over, and they are eager for blood and converts. Sloane takes refuge in Cortege High School with five other students, and together they try to wait out the zombie attacks behind barricaded doors. As the days pass, the barricades hold, but their own inner walls start to crumble. Unlikely relationships are forged, unexpected visitors arrive, and secrets come to light. Sloane knows how easy it would be to die and leave everything behind. After all, what else does she have to live for? 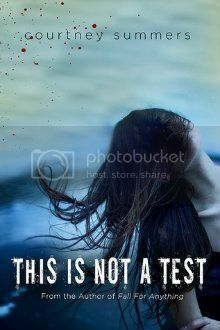 This Is Not a Test is as dark as you might expect a book about the end of the world to be, eploring reasons to stay alive when you've lost everything and definitely focuses on heavy themes. Rather than the action that I thought this book would have - though it certainly does have some - this book shows the aftermath of the zombie attack, focusing on the characters, and not just Sloane. Even still, my heart broke for her and all that she had been through. It was easy to understand her mindset but also to hope that things would change for her. The other students had their own stories just as Sloane did. I loved the bond between Grace and Trace, and Grace proved over and over how sweet she was. She is someone I would want as a friend. Rhys was also sweet in his own way. In the midst of suspicion, anger, and hurt, the bond formed between him and Sloane was a light in the darkness. As with any compelling book, there have to be surprises, and this story was no exception. There were definitely things that I was not expecting, from the story itself and from characters like Harrison. Despite that, though, the book did seem to drag at times - after all, there is only so much you can do when you're trapped inside a school. However, I do wonder if there will be a sequel; the story and the ending definitely left me wanting more. This Is Not a Test turned out to be so much more than what I was expecting. Despite the sorrow and sadness that pervades the novel, there are beautiful moments of hope and life. 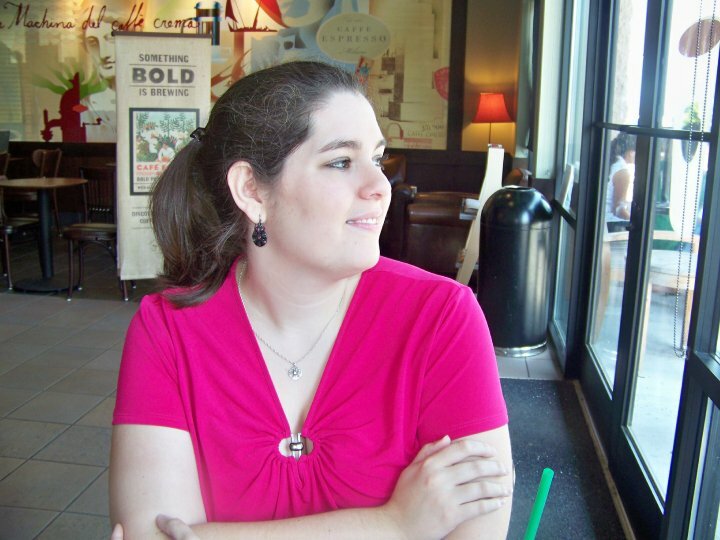 I will look forward to reading more from Courtney Summers! This book totally wrecked me. I am not a big fan of the zombie genre, but you are right, it was much more than that. Great review! I loved this book - so glad to see you enjoyed it too! I felt like an emotional zombie when it was over though and it took me a few days to digest everything I had read. The book isn't one of those happy ending ones that oozes with warm fuzzies. I've read several reviews of this book. Seems like a really great read.